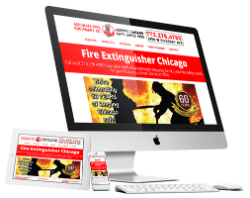 Accurate Fire Equipment Co. is a successful Chicago local business that has contributed to the community for over 50 years. Their website was stuck in the 90s and they needed a modern mobile-friendly design with easy navigation to highlight their fire safety services and products. They also needed an updated look, not just for their website, but for their business logo and printed materials. We were able to develop a responsive and modern look that communicated to their website visitors what their company is truly about – a family business with great service and the best fire safety products. In addition to a more user focused and mobile-friendly web design, we helped them rebrand themselves with new logos and marketing and communication materials, including standard client letters, brochures, proposal templates, business cards and information sheets. A completely new brochure site that appeals to future clients and conveys the importance of fire safety. 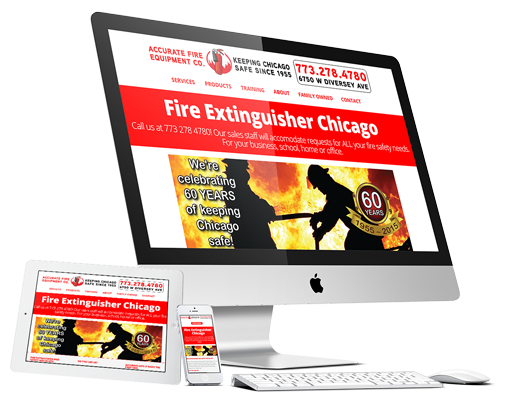 As a local business, the website is SEO optimized for Chicago and surrounding area residents.